In honor of Mother’s Day, we’ll be featuring a series of blogs dedicated to working mothers and their experience at Vanguard. In this blog, Stephanie H. shares about returning to work after being a stay-at-home mom for many years. When I started at Vanguard, I was a single mom with four children. I have always found that my leaders are supportive of my need to put my family first. The department I started in offered me some flexibility options, which I used to stay active in my daughters’ schools, schedule dentist appointments, and run errands. In another role here at Vanguard, I struggled to meet daycare schedules and growing costs. Working with my manager, I was able to shift my schedule enough to cut my daycare costs by a third. Several years later one of my kids was ill, and I needed to drive her to multiple appointments during the week. I took advantage of technology that enabled me to work remotely from home and during doctor visits. There are leaders who have supported me on my journey to balance commitments at home and work, and taken a sincere and active interest in my career development. The treatment and encouragement I have received from these managers has influenced my own leadership style. 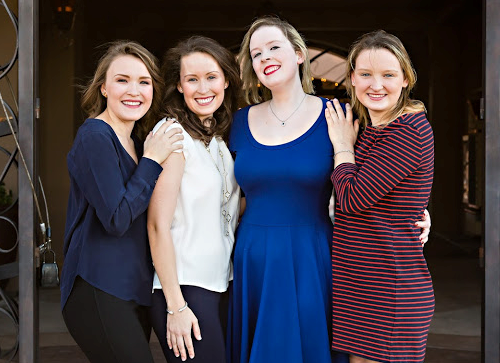 Whenever I have the opportunity to discuss my experience with a woman grappling with her own decisions concerning motherhood and work-life balance, I have always shared that she will never regret the time she chooses to spend at home with her kids. A friend at Vanguard reflected recently, “I could have been working, but I am so grateful for my time at home. Now my kids watch me and they see dedication, a strong work-ethic. As they see me progress in my career, I am setting an example. [My family] has a different level of respect for my work and my time.” My girls are grown now, and some of my daughters have their own children. Ah, grandchildren. About a year and a half ago, I shared with my manager that I was open to roles in our Arizona office (which is approximately 2,000 miles closer to my kids). 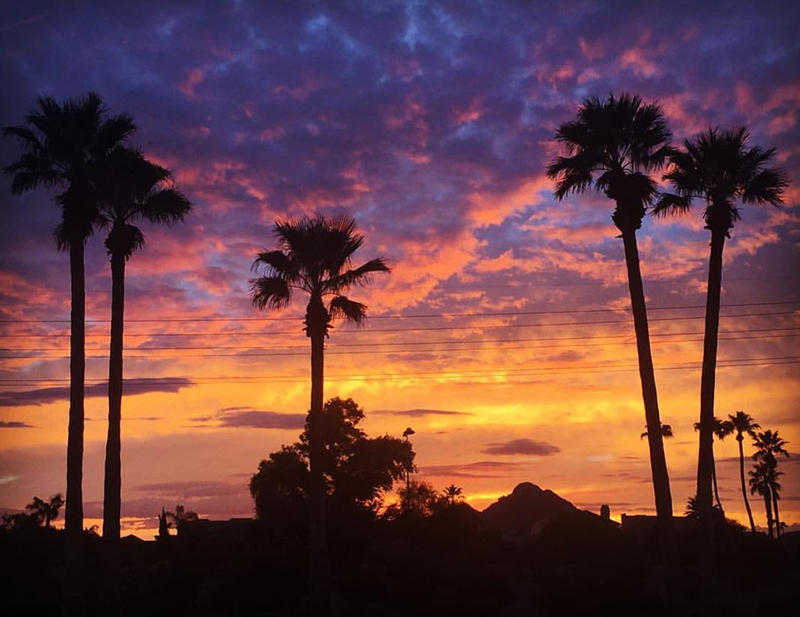 A lateral move to my current role and a few more great leaders in between, and I am typing these words from my home in Scottsdale. Vanguard is a great place for moms. In honor of Mother’s Day, we’re featuring a series of blogs dedicated to working mothers and their experience at Vanguard. 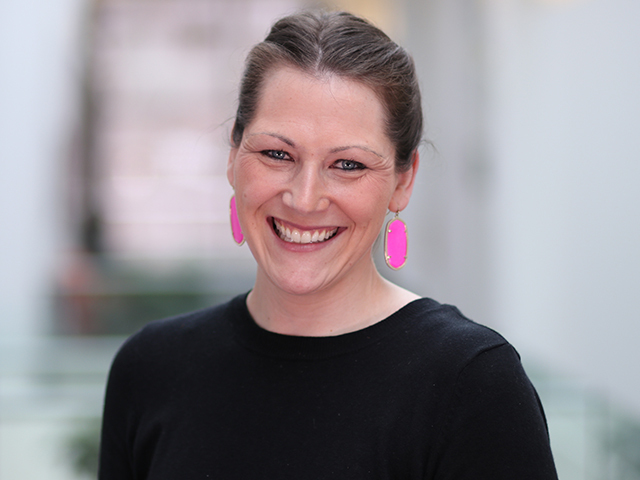 In this blog, Schuyler T. discusses working at Vanguard and what happened when her baby came earlier than expected. Thirteen years later, I am still with Vanguard and have had an opportunity to grow both personally and professionally. 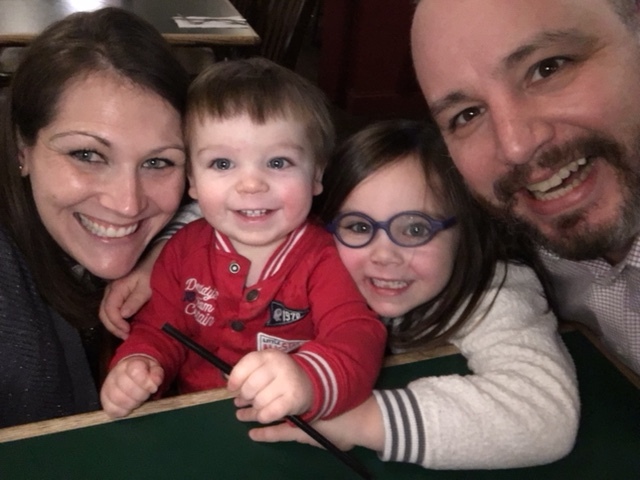 Today, I am a Manager who sits on the Talent Acquisition Leadership team, but more importantly, I am the mom to two great kids and the wife to an amazing husband who is also a crew member. I love my job and I wouldn’t trade it for the world, in fact, I would go as far to say I love being a working mom. There is no secret formula to create a balance or even a magic number of how much time should be spent at home vs. work. Instead, it is all about flexibility. Vanguard has offered me the flexibility that I need to be the best mom to my kids and succeed in my career. Flexibility comes in many shapes and sizes – some weeks I may put more time in at work to finish a project. Other weeks I may need to put in more time at home to be there for my family. Either way, I have never felt that I had to choose between work and family. 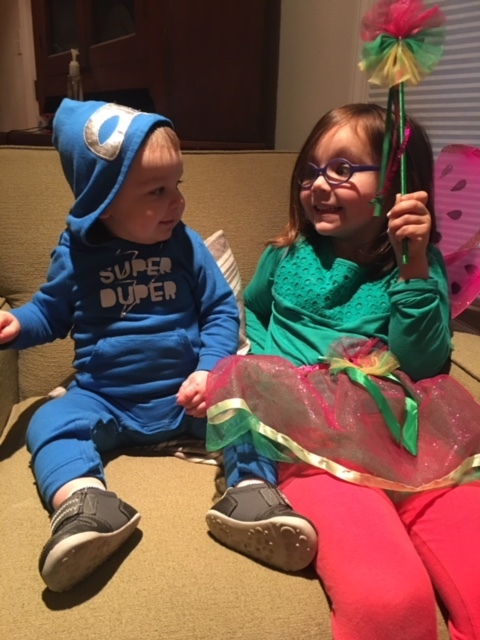 As a new mom to two, I had 4 months of paid time to spend with my newborn son and help my daughter adjust to being a big sister. This time was invaluable to me and I wouldn’t change it for the world. I was able to enjoy my leave and bond with my family. And guess what? Work didn’t stop, and I didn’t get any emails or phone calls. The only communication I had with my team was me sharing pictures of my adorable (I may be biased) kiddos. After my 4 months of leave, I was ready to come back to work. I knew my kids were in great hands with our childcare provider as their days were filled with learning, socialization, art, and songs. Much more exciting than a day spent with mom. In fact, for a few years every time I shared with my daughter that tomorrow was Saturday, she would sigh and respond with “that’s nice, but I can’t wait for Monday”. Comments like these validate that, just like me, my kids have their own lives too. They have friends and activities at school that they get excited about, just like I have projects and initiatives that I am excited about at Vanguard. Working full time and being a full time mom is not easy, and it’s definitely not glamourous (so what if my house isn’t perfectly tidy, my garden needs weeding, or we sometimes have pizza for dinner) but I wouldn’t change it for the world. In my opinion, I get the best of both worlds and they complement each other quite nicely. Every day I have the opportunity to challenge myself at work, which keeps me driven and energized, and there are still so many things that I aim to do with my career. I know Vanguard and my family will support me every step of the way. If you had asked me 5 years ago where I would be today, trading derivatives at one of the world’s biggest asset management firms would probably not have been my first response. In college I was studying international business and politics, and headstrong on becoming a diplomat at the United Nations. My summer going into my senior year of college, I worked an internship at the UN. This experience motivated me to follow a path where I could influence positive changes in the world. I also loved understanding how economies operated around the world. 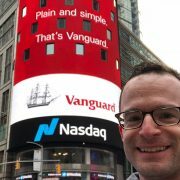 In finding Vanguard, not only was I excited about the possibility to work at one of the biggest asset managers in the world, but also a company that had a philanthropic vibe. I felt that the overlap between values at the United Nations and Vanguard was pleasantly similar. I applied to the Vanguard Accelerated Development Program (VADP), not knowing where in the organization I wanted to be, but excited about the opportunity to explore different areas of the company. The first step was tackling the Series 7 exam – which helped me gain solid investment knowledge and a better understanding of how our funds and ETFs operate. It was soon after that I realized I wanted to learn more about the investment arm of the organization. 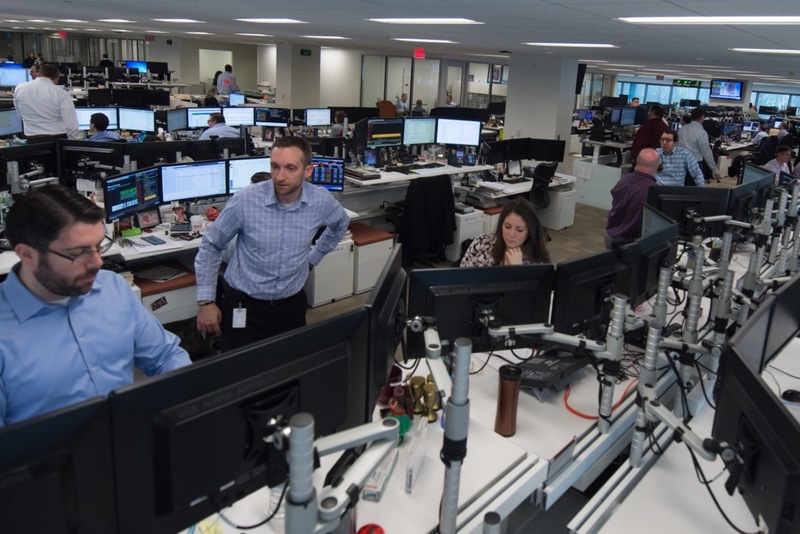 After spending a few days shadowing on the trading floor, I knew the fast paced, high impact environment was perfect for me. My first rotation was on the ETF Capital Markets team, a very male dominated area where there had never been a female on the team before. They covered both fixed income and equity, and spoke to clients about trading – this required deep training and hard work to understand the complex technical knowledge. 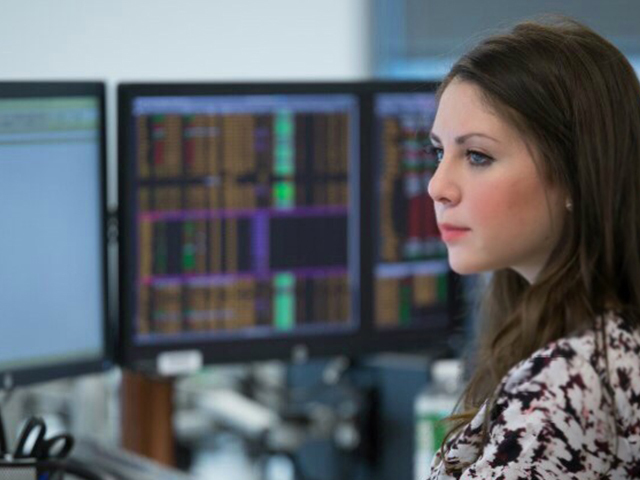 I spent my days shadowing others on the desk and learning about equity, fixed income, market structure, market participants, and ETFs. I kept a spiral notebook with long lists of questions of the current day’s happenings, and Tom (my first manager on the team) would spend time post market hours explaining the plumbing of the market and theoretical reasoning behind the day’s trades. Although this group required a thorough understanding of many different aspects of investment management, I found I was able to learn these technical skills by partnering with a mentor, and consistently asking questions, finding articles, and taking time to self-study. That included starting the Chartered Financial Analyst® (CFA) exam, which although challenging and time consuming, has been instrumental in helping me with my investment education. As time went on I felt confident in my ETF knowledge and my day-to-day now consisted of taking on my own trades and speaking with clients directly, rather than just shadowing another expert. One thing to note is that there is a lack of females in the investment space, and they have historically shied away from more technical areas. Being the first female to join the Capital Markets team, I worked with my current mentors in deciphering why that is and how we could encourage other females to enter the space. The main themes I came away with were mentorship and confidence. It’s up to females currently in these roles to encourage, mentor, and lead other females and males entering the space. The confidence piece is tough, however, it helped me learn that it’s rare that someone walks into a trading or portfolio management job knowing the right way to hedge a trade. Knowing that I started at the same level as many of my peers reaffirmed that I too was capable and smart. After I became involved in the ETF industry, I also joined a nonprofit group in the industry called Women in ETFs (WE). In this group, I got to know other women in the industry and attended numerous panels and discussions. Personally I have gained so much from being involved in this organization – the network I developed has helped me to not only understand the ETF ecosystem, but has also provided me with a network to lean on. After going back and forth to the New York chapter many times, I decided to explore developing a Philadelphia chapter. I felt strongly that I could cultivate the same experience for professionals here that I was getting in New York. Many months, discussions, and persuasions later we were able to move forward with the chapter launch in August of 2017. Over the past year I have attended events with experts in the local ETF industry that discussed trading, regulation, and market making. The WE Philadelphia chapter has big plans for incorporating formal mentorship programs, webinars, and more educational events this year. After spending two years on the ETF Desk, I was approached about taking a trading role on the derivatives desk in Fixed Income. 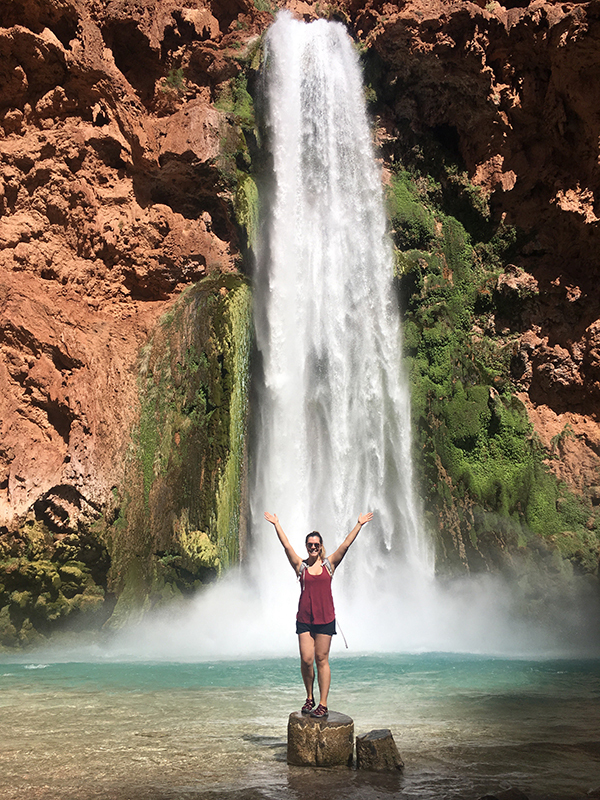 I was honored by the opportunity to take a step deeper into the heart of our funds and the daily happenings of politics, the fed, and market movements. It’s exciting to work on a desk that has direct impact and trades large amount of notional values. Thinking through trades and risk, staying on top of the markets, and learning how thoughtful decisions can positively impact shareholders has kept me so excited to come into work every day and allowed me to continue to grow as an investment professional. It has been Vanguard’s openness to teach and mentor that has given me the opportunity to work in such technically challenging roles. If I could say one thing to women and men exploring a career in investments, it’s not to allow what you don’t know to intimidate you. If you are willing to work towards a goal, you can achieve it. You just need the right mentors, the right mindset, and the right company. If you’re seeking and environment where you can make a difference and develop professionally, check out or career opportunities at www.vanguardjobs.com. I found my way to wellness — at work! In early 2015, I was suffering. Years of working a desk job and a sedentary lifestyle had taken their toll and my health was worsening. My blood pressure was way too high, and gout attacks frequently made it agonizing to walk. Sleep apnea and acid reflux meant I rarely got a decent night’s rest. At 41, I wasn’t too young to be at risk of a heart attack (or worse). It was time to do something. Lucky for me, Vanguard has an amazing wellness staff here to help – at Vanguard’s fitness center called ShipShape. 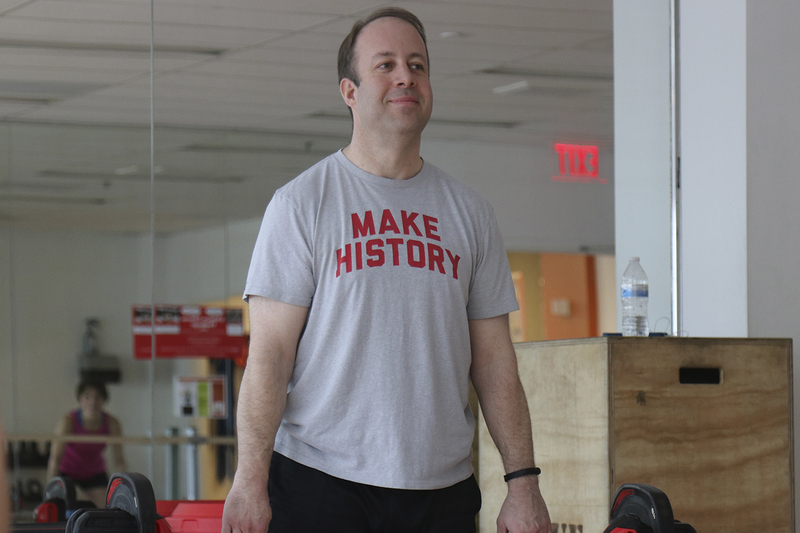 I started with baby steps, like joining ShipShape’s six-week group weight-loss challenge and hitting the gym regularly. Encouraged by our specialist, I kept a food diary and changed my eating habits. I walked on the treadmill for a half-hour. I used the stairs instead of the elevator to get to my desk on the third floor. 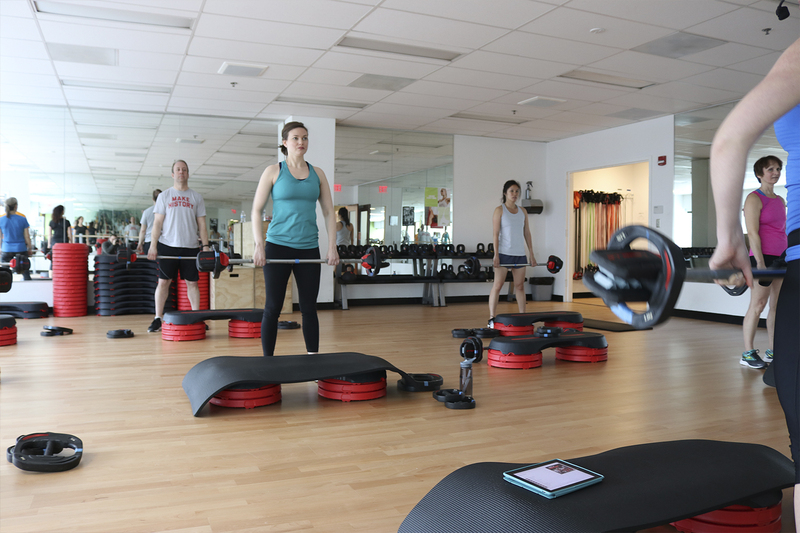 At the gym, the ShipShape team greeted me by name almost immediately, which built up my sense of belonging, as well as the accountability that I needed to make this a habit. They have been with me every step of the way. The results came almost immediately. I lost a tremendous amount of weight that first year, but just as important, was developing the routine and the commitment to make this a lifestyle change. My family tracked my weekly weigh-ins. I had to buy new clothes! My team at work noticed. People who hadn’t seen me in a while were surprised by my transformation. “You did all this at Vanguard?” more than one person asked me. Make no mistake, this can be hard work, but the ShipShape staff are there to guide you through it. Austin has us pedaling for our lives in Group Cycling (but you don’t notice it, with such a fun soundtrack). Shannon doesn’t skip any of the toughest kickboxing choreography. 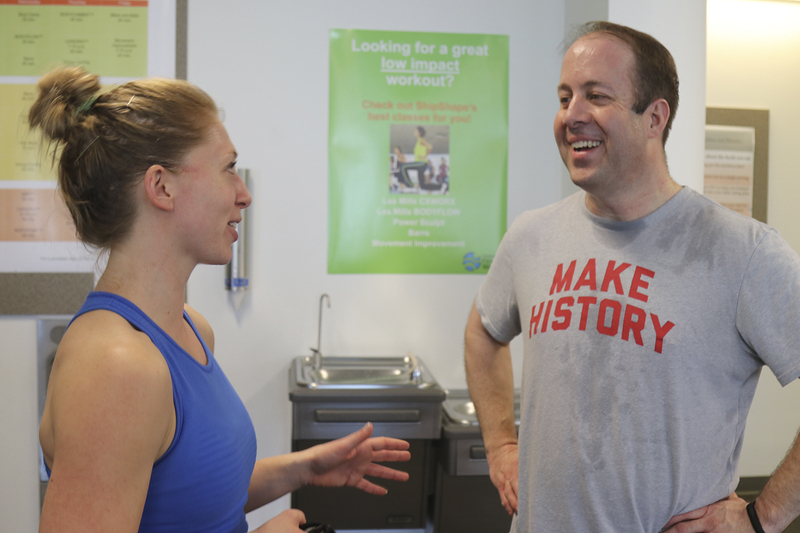 Brandon and Chelsea sweat it out with us in every class they lead. I can’t argue with the results! There’s nothing more energizing and motivating than pushing yourself to the limit while surrounded by dedicated crew focused on a common goal. I have strengthened my Vanguard network, made new friends, and even found my current job through a workout buddy. And if I haven’t been around in a while, someone notices. 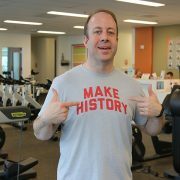 I have a favorite shirt that I wear to the gym – it has the words MAKE HISTORY emblazoned in big red letters on a gray background. It was a Father’s Day gift from my wife and three children a few years back. This shirt is the symbol of a miracle. I wear it to celebrate how far I’ve traveled on my wellness journey and to remind myself why I so often visit ShipShape. The center is always there for me – I can go before breakfast or at lunchtime, which suits my family’s busy schedule. I know the specialists will greet me with a smile and that I’ll see friends and might try something new. Three years later, my ShipShape family is a significant part of who I am as a Vanguard crew member. I couldn’t be more grateful. Today, I’m more present and available for my Vanguard team, my peers, and most importantly, my wife and kids. I stay active, and my health has dramatically improved. I find that I contribute more at work and at home. So, what’s next for me? I plan to keep making history. Thanks for joining us, Anthony. Your role is different compared to many of our crew. 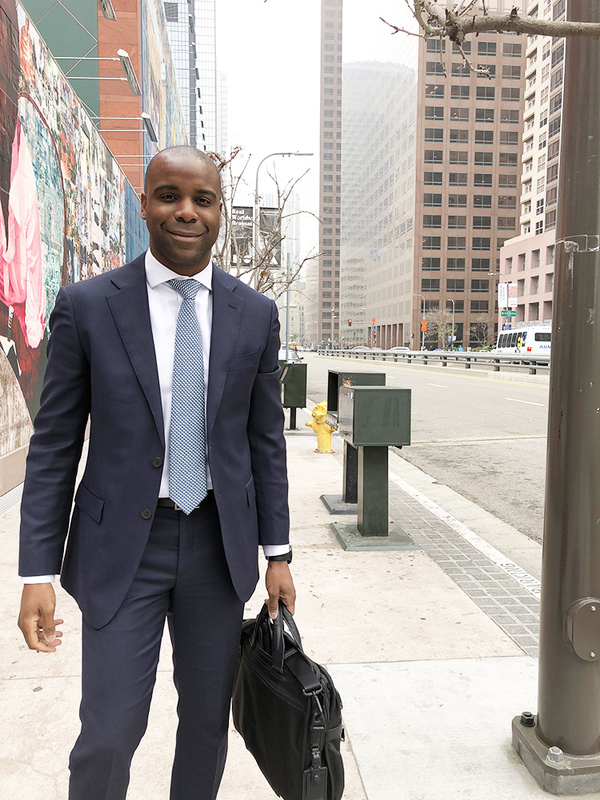 Can you talk about a day in the life covering financial advisors in Los Angeles? I partner with wire house and independent financial advisors through the broker dealer channel. I spend my days learning about the landscape of their firms, each advisor or team’s business model, their investment philosophy, types of clients they serve, service model, and their growth strategies. From there, I focus on creating value for them, which includes: providing Vanguard products and resources to give their clients the best chance for investment success, sharing perspectives that are new or different, and offering actionable ideas to help grow their businesses. My goal is to ensure Vanguard is a part of their future growth and success. You don’t get to spend a lot of time with co-workers, but Vanguard has a very collaborative culture. Working remote, is it hard to stay connected with your team when you don’t sit near them? We’re still connected, it’s just a different type of connection. We catch up over video and group text rather than going out to lunch or meeting in person. You have to be proactive to stay connected and exchange information. The camaraderie is there, it’s just digital. Commuting in Los Angeles provides plenty of windshield time to call and speak with peers. So it’s fair to say this is a very independent role. Autonomy is huge – I liken our work to running a business inside of a business. It’s a big ask to run a territory, and there is less oversight, which means you have to be disciplined and trustworthy. Working well with your management team and internal partners is key. I enjoy the opportunity, but it’s not for everyone. Learn more about our Financial Advisor Services sales careers in the video below! What drew you to being a sales professional? I played football at the University of Arizona and I enjoyed the competition and adrenaline rush of the game. For me, sales was a natural transition from sports. You have to set a goal, analyze the industry and competitive landscape, and execute a game plan. Football taught me the importance of a highly functioning team that works together towards a win. Instead of defending opponents on the field, we’re using Vanguard resources to give advisors an advantage in the marketplace. Sales is also about helping people arrive at a conclusion they hadn’t considered. Some of my favorite advisors are the ones who have never partnered with Vanguard. I like the challenge of establishing a new relationship, building credibility, and helping advisors manage their assets. When you’ve made a difference for a client, it can feel like making a big play in a big game. You’ve worked in sales in other roles at Vanguard. How did these previous roles prepare you for this one? I started in our Business Development Group (BDG), a department that specializes in bringing new clients into Vanguard and introducing them to our advice capabilities. This was a tremendous opportunity as it allowed me to hear thousands of investor’s stories, understand the issues they were facing, and support them through the global financial crisis. Working in BDG was like going to sales university–it taught me how to have a consultative sales conversation. Talking to someone who trusts you with their financial life is powerful and humbling. There can be a lot of uncertainty and we were able to help clients financially and emotionally through the investing process. After you master these skills, you are ready to move on to a different level of client, with different needs. So obviously you like sales, but why sales at Vanguard instead of another firm? I’ve been at Vanguard for eleven years and the culture is very different from other firms where I’ve worked. Vanguard puts clients first. We have no outside shareholders to answer to. No conflicting interests. It’s gratifying to walk into an advisor’s office and know that I can do good and do well at the same time. What advice would you give someone who’s interested in a sales career here? Be a good listener and learn how to disagree well with those who hold opposing views. Both of these take time and practice, but give you the ability to connect with others and overcome real objections. Being successful at sales is more than identifying current needs and providing solutions. Deepening your business and investment acumen will help you deliver differentiated perspectives that add value. Clients need us to offer something that enhances what they’re already doing and make them more successful. It’s also key to remember our guiding values – focus on doing the right thing and giving all investors a fair shake. It’s truly why we’re here. 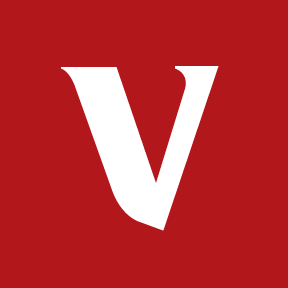 As a video producer and motion graphics designer, people are often surprised to hear that I work at Vanguard. “Isn’t that a financial company?” they ask. But as part of Vanguard’s Marketing and Communications department, I get to produce, direct, and edit videos for vanguard.com, social media channels, and live event experiences. I also design and build motion graphics in addition to providing photography services. My team is comprised of highly-experienced designers who came to Vanguard from very diverse backgrounds. Collaborating with designers, writers, and marketing managers across my department is the best part of my job. I’ve been producing video since I was 9 years old and worked in the live control rooms for both a national television network and a professional baseball team. So how the heck did I wind up at Vanguard? I’d known about Vanguard for years—the investment giant in Philadelphia’s backyard. 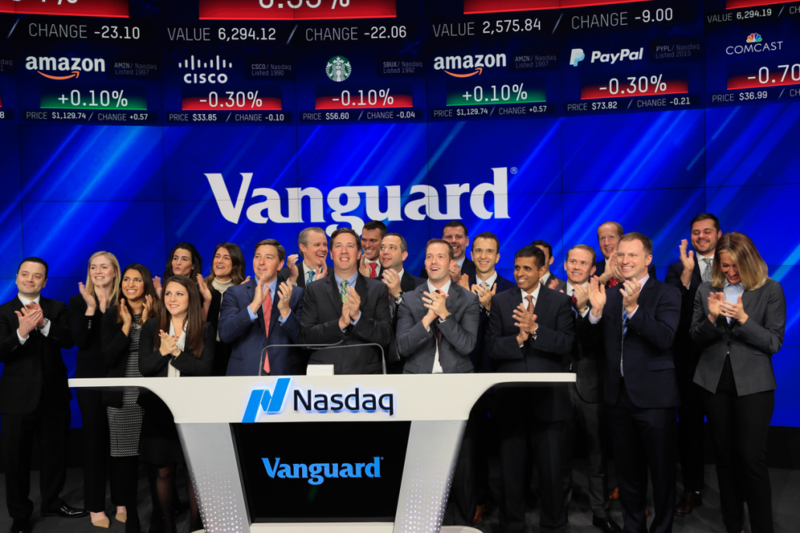 I heard great things about Vanguard as a place to work, and though it’s a financial company, I knew there were communications and creative job functions throughout the company. I looked for the perfect “foot-in-the-door” position that would allow me to learn the business (and teach me how to manage my own retirement plan! ), with the goal of eventually moving into a communications role. Friends thought it was a risky idea, but I had confidence in Vanguard as a stable place to work and an opportunity to reach my career goals. Little did I know that someday I would see my work in the middle of Times Square. I started as a Retirement Plan Processing Associate. The robust training and onboarding process was intense, but a great opportunity to build relationships with my class—friendships that are still going strong 10 years later. After two years serving about 70 retirement plan sponsors spread across the country, I landed a job on an internal communications team. My plan was working! In my 5 years on this team, I had opportunities to write scripts, design graphics, and produce videos from concept to completion. I often worked directly with members of Vanguard’s senior staff, which was both exciting and an incredible learning experience. I was then promoted to Lead Multimedia Designer in Vanguard’s marketing department, where I’m able to use my 25 years of video production and design experience to serve our clients, at a company that truly makes a difference. 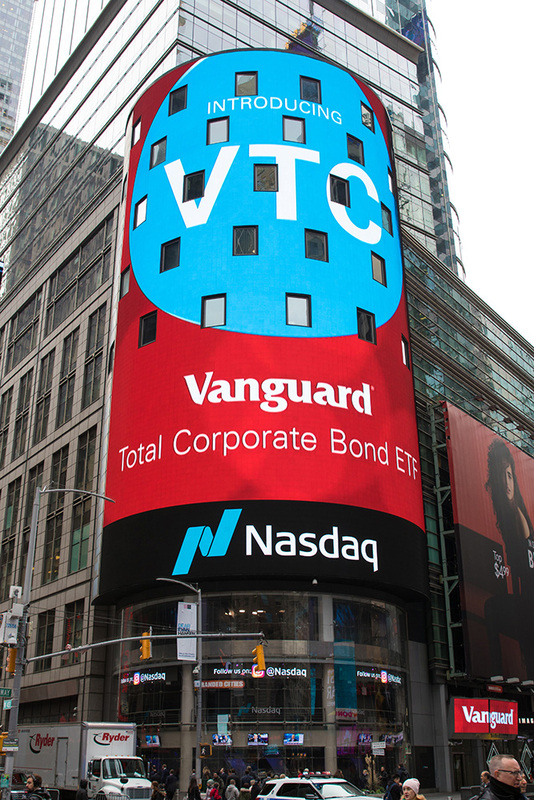 Vanguard was launching a new fund with the Nasdaq exchange, which gave us the opportunity to advertise on their iconic video screen in the heart of Times Square. I was asked if this unique project was something we could handle. “Of course,” I said. But… we only had a few days to write, produce, approve, and deliver the video. Our creative team worked together very closely on sharpening the messaging and designs. We wanted to ensure our message was short and sweet for New York’s fast walkers. Then there was the added challenge of fitting our graphics and content around the tower’s 26 windows. The video was one of the fastest—and definitely biggest—projects I have ever worked on, which only added to the thrilling experience. It was great to see how our creative team rallied together to get the video not just done, but done well, and on time. In the end, I was lucky enough to attend the launch in New York with about 20 fellow crew members from across the company. And at the opening bell, there it was—the animation we made just a few days prior! It gave us all chills, and needless to say, there were plenty of high-fives and selfies! I’ve been quite introspective about my Vanguard career since seeing my work displayed in such an iconic location. What some called a risky career move turned out to be the best decision I ever made. My time at Vanguard has been adventurous and rewarding in more ways than one. From serving clients, to working with senior staff, to camaraderie with a fun and diverse marketing organization, it’s been a great 10-year journey that leaves me even more excited about the future. In this series, crew members in Client Services share their perspectives on career choices, teamwork, and how they contribute to Vanguard’s mission. 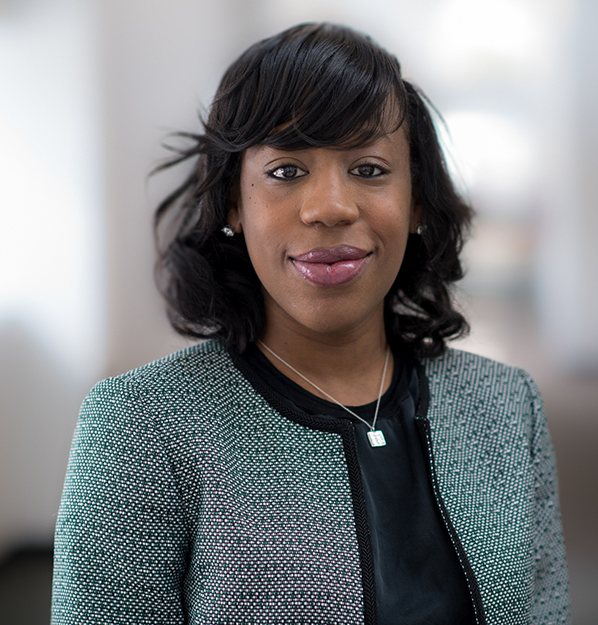 With an undergraduate degree in Political Science and an MBA, Tiana spent a number of years in the annuities department at another financial institution prior to coming to Vanguard. She brings great external perspective as well as five years of Vanguard experience in a wide variety of Retail Investor Group (RIG) roles. Tiana started her RIG career in a Processing role in RIG Operations, but quickly discovered that a career in Personal Advisor Services (PAS) was what she was targeting. 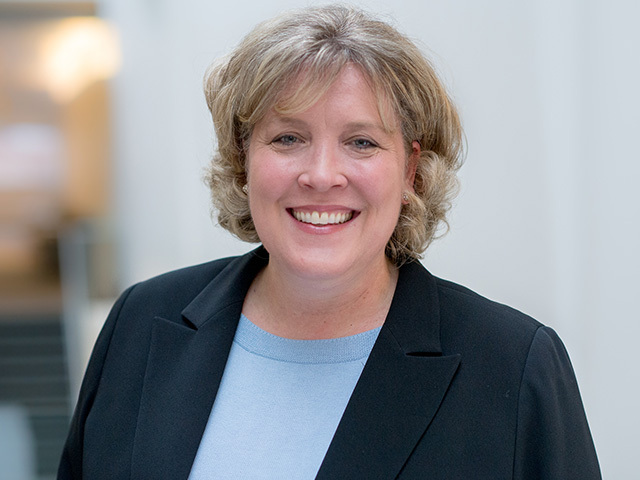 She moved into the PAS Portfolio Implementation role, where she served as the liaison between clients and their advisors, then became a PAS Voyager Advisor, and is now a PAS Voyager Select Advisor. 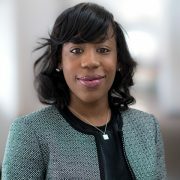 Tiana has her Series 6, 63, and 7 licenses, as well as her CFP® (Certified Financial Planner™) certification, and has recently enrolled in a program to pursue a Chartered Financial Analyst ® (CFA ®) designation. 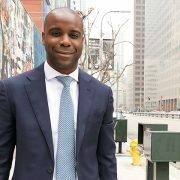 After graduating from Dickinson College, Darrell immediately began his career at Vanguard. He has held multiple roles at Vanguard in Personal Investor, Education Savings Group, and Advice. 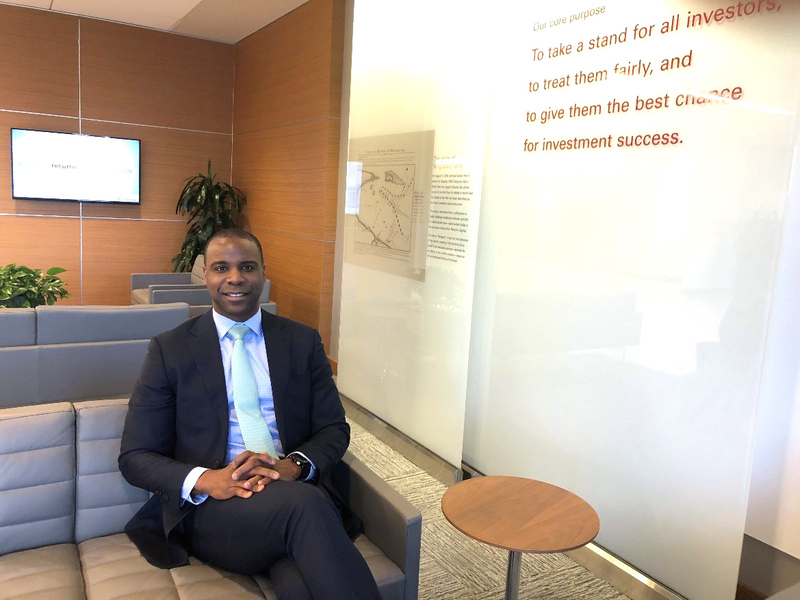 After some time, Darrell asked himself, “Do I want to continue specializing as a Financial Advisor, or is it time to stretch a new skillset?” With encouragement and support from both peers and leaders, Darrell decided to pursue leadership. Last December, he moved into his current role as an Operations Team Leader where he is able to use his caring mindset, energy, and “can-do” attitude to best support his crew. 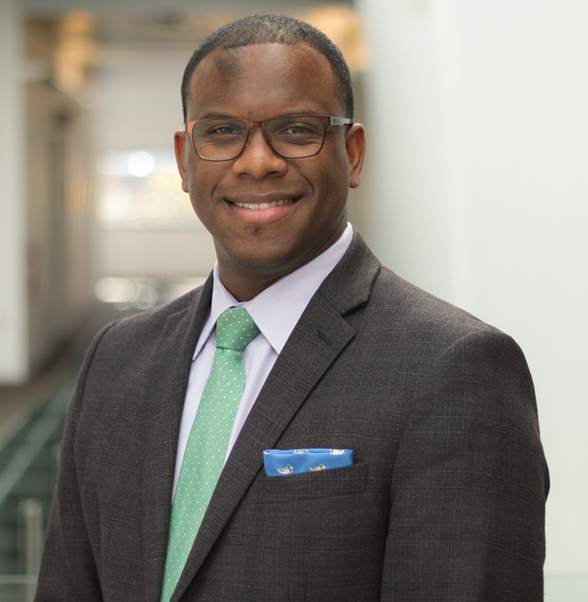 Darrell has his Series 7, 63, and 65 licenses, his CFP® (Certified Financial Planner™) certification, and is enrolled in a program to pursue a Chartered Financial Analyst ® (CFA ®) designation. What is it like working in Personal Advisor Services? Tiana: I’m all about client service and building relationships, both with my clients and my peers, and PAS allows me to do exactly that. The dynamic is great; I always say I have my home family, and PAS is my work family. It’s a comfortable environment where I can frequently collaborate with peers, and develop just from listening to their day-to-day conversations. Everyone is open and supportive, so much so that they all offered to help me as I pursued my CFP® certification, which I couldn’t have done without my leaders’ and peers’ guidance! My day-to-day routine revolves around my clients. I manage a book of clients, who I speak with at least twice a year. They can also schedule ad-hoc meetings with me. I’m empowered to manage my time however I see fit, putting blocks on my calendar for times that I’m not available for client calls, and clients can look at my calendar and select times that work for them. My peers and I try to do video calls with all of our clients to really connect with them personally. Darrell: No day is ever the same in my role, which is actually really nice. My time is split between projects, workstreams, and my crew. A typical day includes lots of time with my crew: walking the aisles, spot coaching, and working towards solutions when issues arise. Another big portion of my day is working on projects and workstreams to support the business. For example, I am on the Invest Workstream, which is looking at the life cycle of a dollar in Advice. No matter what my day holds, time with my crew is what I look forward to most. I enjoy watching them grow and develop, and coaching them to success. Tiana: Relationship Management, Time Management, and Detail Orientation — First and foremost, relationship management is crucial, not just with clients, but also with peers and leaders. You really have to love building relationships and connecting with people to be successful in this role. You also have to be great at managing your time -advisors are empowered to decide how we want our calls to flow throughout the day. Lastly, detail orientation is key: I’m dealing with people’s money, so quality is crucial! Darrell: Flexibility, Time Management, “Can-do” Attitude – In my role as an Operations Team Leader, I need to be able to flex from one task to the next. One minute I could be dealing with an elevated situation and the next minute I could be in a 1:1 with my crew member. Effective time management is crucial for success in this role. There are many competing priorities and being able to address each item, in a timely fashion, is paramount. Although it may seem simple, a “can-do” attitude goes a long way. There is a plethora of work that needs to be done each day to advance the work of the department, so one must have that resilient attitude. Tiana: There was an elder client who had been receiving investment advice from a family friend outside of Vanguard. Her former advisor over-allocated in a risky investment which resulted in the loss of a lot of money, and even worse, a distrust in advisors. She called Vanguard with the intention of trying to manage her own investments, and I saw an opportunity to turn a sad story into a great story. First, I had to learn a lot about her to really form a connection and earn the client’s trust. I explained to her that Vanguard is different – advisors here don’t receive commission or other such incentives, so everything I would do for her would truly be in her best interest. It was one of those moments where I really felt like I made a difference. Darrell: During my time as an advisor, I had a client who was asking multiple sharp and pointed questions during our phone call. We had multiple hour-long sessions and each session was filled with these questions. At the end of the last call, the client took a deep sigh and said, “I think I’m ready to do this”. I asked him to clarify what he meant and he proudly stated, “I think I’m ready to retire.” Additionally, I was able to put Vanguard’s investment methodology into practice in his portfolio. This is the type of call that allowed me to leave the office feeling truly fulfilled in my day’s work. What is one of the greatest lessons you have learned during your time at Vanguard? Tiana: At Vanguard, I’ve learned that my leaders are truly here to support me and help me develop my career. I love that Vanguard’s approach to feedback is developmental, so I’ve learned not to feel bad about it, but rather to learn from it and work on it. No matter where I go, as long as I’m working hard, my leader is committed to my development. Development conversations ultimately help me grow and achieve my long term goals. 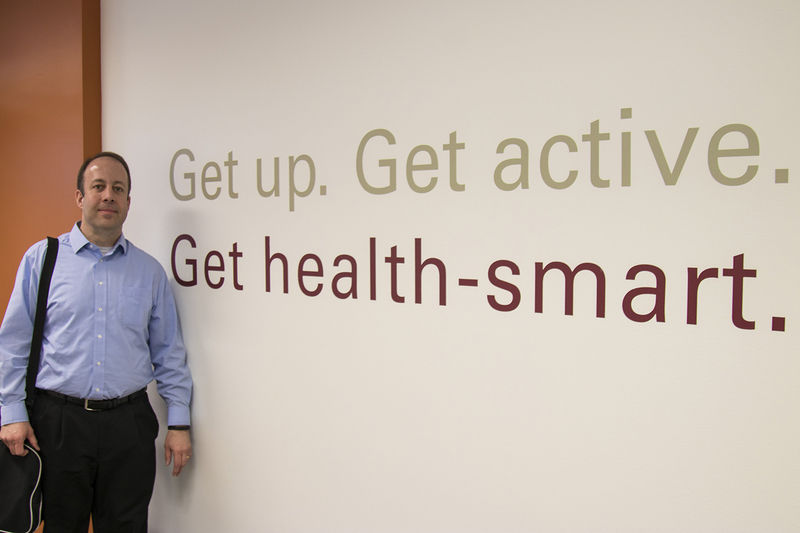 Darrell: One of the greatest lessons I’ve learned is to never be afraid to seek out help and additional perspectives. Crew here at Vanguard are quite receptive to offering their assistance and perspective. The more open you are and the more willing you are to ask for help, the better off you’ll be at the end of the day. This requires being coachable, which is critical to growth. How is your current role contributing to your overall development? Darrell: I think about my career with less of a destination in mind and more of a collection of experiences that will grow and develop my skillsets. What I am learning in my current role is how to manage and develop crew, how to drive business impact, how to demonstrate conceptual thinking skills, and how to develop deeper business acumen. How does your role as an advisor fit into your career goals? Tiana: In my past experiences, I’ve witnessed situations where the client was not put first. Since then, I’ve known that I not only wanted to be in Personal Advisor Services, but I wanted to do it at a company where the clients’ interests are truly at the core of everything we do. My ultimate goal is to be an Ultra High Net Worth (UHNW) Advisor, and the path to achieving that is pretty clear: advisors are split by segment, based on individual client need, so there are multiple opportunities for advancement. I’m confident that I’m building skills in my role now that will enable me to become an UHNW Advisor a few years down the road. Tiana: I’m a firm believer in Vanguard’s investment methodology and strongly value our client-first approach. What I do day-in and day-out is really all about the client. I help them in all of their most personal milestones: planning for retirement, creating a plan to save for college, helping them buy a home. Whatever their unique goals are, I’m serving their best interests by getting their money invested in a way that best fits their individual situation. Darrell: This has looked different as I’ve held different roles across Vanguard, but as a Team Leader, the best way I can fulfill Vanguard’s mission is to effectively manage and develop my crew so they can then deliver the best client experiences. Read the last blog in this series on Flagship Services and stay tuned for the next edition of our Client Services career conversations, featuring a new department each time. If you’re seeking an environment where you can make a difference and develop professionally, check out our opportunities in Advice at www.vanguardjobs.com. 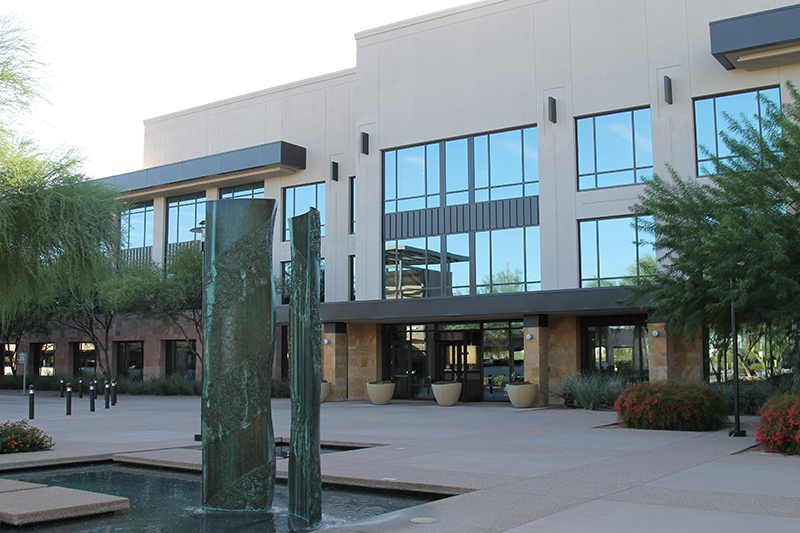 Nestled in a stunning desert landscape, Vanguard’s Arizona campus, also known as Vanguard Scottsdale, is a blend of beauty, warmth, and culture. In the below crew stories, you’ll discover how our AZ campus is different, but still feels like Vanguard. 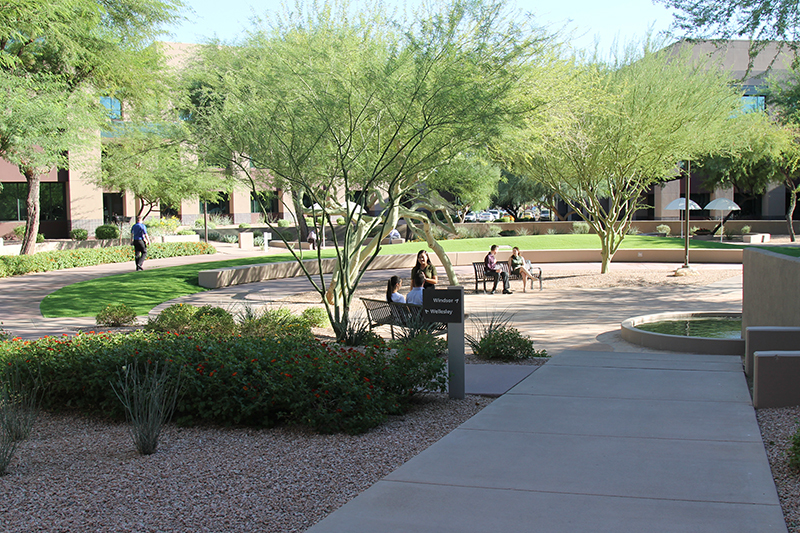 What is your favorite part about working at the Scottsdale campus? What campus amenities do you enjoy utilizing? 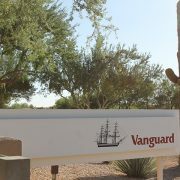 Vanguard is a global organization – view our other locations! Sydney graduated from San Diego State University with a bachelor’s degree in finance and a minor in marketing. 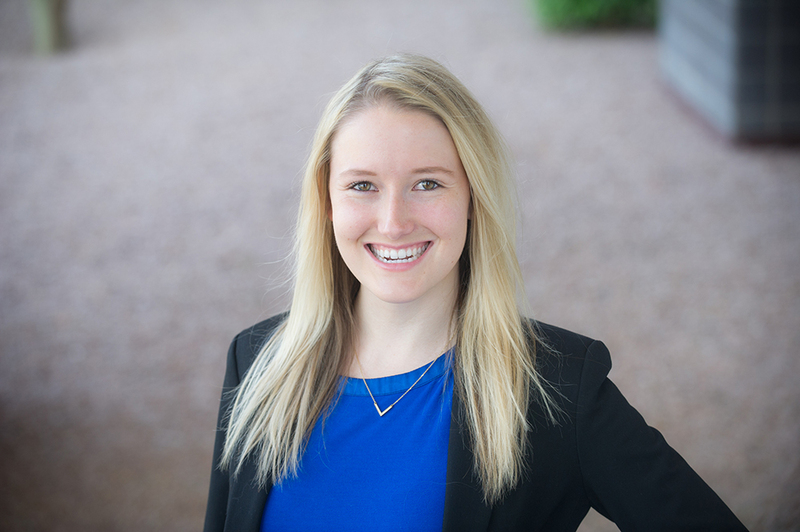 During her senior year, she attended the SDSU Career Fair and was inspired by the way that the Vanguard representative spoke about the firm as a best place to work. After graduation, Sydney began her career as a Client Relationship Specialist. 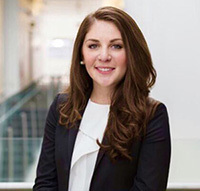 After spending some time as a Brokerage Orders Associate, Sydney made the switch to Flagship, a department which serves high net worth investors. Eventually, she was promoted from an Assigned Representative to a Senior Assigned Representative. This role allows Sydney the opportunity to serve clients, directly impact the coaching and development of Flagship crew, and lead several initiatives throughout the department. After graduating from Ohio State University, Lindsey worked for a bank in Ohio for four years. During this time, she learned about Vanguard and its reputation for putting clients first. 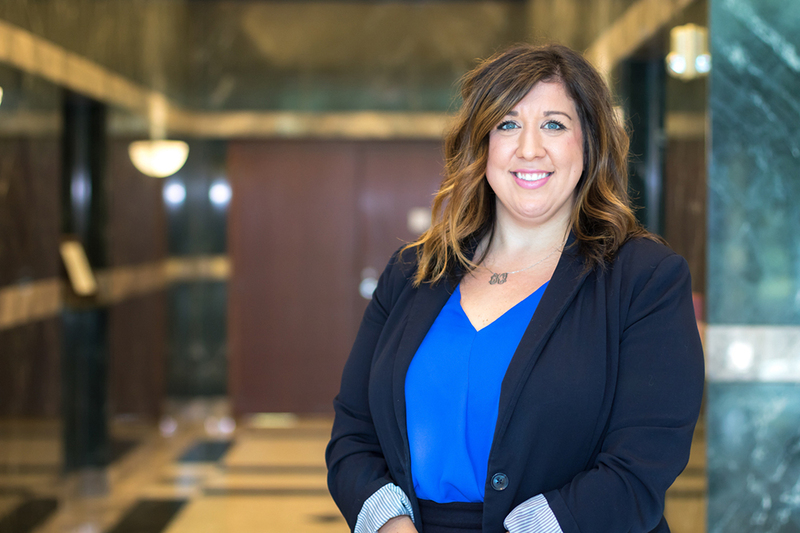 Lindsey has held multiple roles throughout her tenure here at Vanguard, including: Client Relationship Specialist, Select Services Investment Professional, Team Leader in Retail Services, and her current role, Client Service Specialist Team Leader in Flagship. In the past year, Lindsey chose to pursue a career in Flagship to expand her business acumen and to work directly with crew and clients. What’s it like working in Flagship? Sydney: My role consists of managing a book of clients and assisting fellow Flagship crew with their clients’ needs. In my role, I have two main responsibilities. One is to serve my clients and make sure they have a positive experience in every interaction. The second responsibility is to support my team. I coordinate staff meetings, conduct 1:1 meetings with my teammates, and take on additional leadership responsibilities. Because of this, the Senior Assigned Representative role is great for those like myself, who are exploring leadership as a career. Lindsey: Crew in Flagship pride themselves on their strong relationship management skills, which is a direct driver of the collaborative and inclusive environment that really sets Flagship apart. I spend 75-80% of my time with my crew members, whether that is coaching, developing, leading team meetings, or facilitating peer coaching sessions. During our time together, I help my crew to see the affect they have on their clients and the overall business. One of the primary initiatives I am driving focuses on shaping the way our crew deliver quality interactions and how this empowers our clients to leave us positive feedback from their time spent with our investment professionals. Sydney: Time Management, Client Relationship Management (CRM), and Investment Guidance. As a Senior Assigned Representative, I have the autonomy to determine how to allocate my time between my clients and the business. In addition, CRM skills, such as positioning, are crucial in my day-to-day work. My time as a Client Relationship Specialist helped prepare me for this role through developing these skills. Lindsey: Relationship Management, Time Management, Organization Skills, Conceptual Thinking, Leadership Impact, and Coaching & Developing. I need to balance the needs of crew, clients, the business, and my own professional development, but my crew always come first. Conceptual thinking is necessary to balance the many aspects of my work and to adequately prioritize what is most important. Lastly, the ability to take an ambiguous request and deliver strong results is crucial in my role. Sydney: My answer is two-fold; first, it’s important to build trust in the small calls, such as executing a transaction flawlessly, so that when there’s an elevated situation, my client trusts that I can handle it. Second, it’s important to strategically choose where I want to have an impact. There are so many opportunities and, as crew members, we can decide what the best fit is for us. What is one piece of advice that you would give someone starting out their career? Lindsey: In my role, I work a lot with new hires, so I share this advice often – own your career. You are in the driver’s seat of everything that happens. There are going to be opportunities given to you and opportunities given to others, so you’ll need to be proactive. Part of this means even when you’re busy, make your own development a priority. Personally, I make sure to attend one professional development event a month and meet with two individuals a month in order to continuously develop. Sydney: There is no “typical” career path for Senior Assigned Representatives. Some choose to take roles in Relationship Management, Project Management, Advice, or other areas. Personally, my long-term career goal is to be a leader. I see my current role as an opportunity to cultivate my coaching and development skills and work on broader business initiatives that drive crew success. Sydney: In Flagship, we embody the mission of Vanguard every single day. Through our conversations with clients, we get to know them at a very personal level. Because I have that relationship and personal connection with my clients, I’m able to better position what I think is best for them and their family. Lindsey: This is something that my team and I discuss often. Especially in Flagship, we manage a large portion of Vanguard’s overall assets and therefore, have a large influence on the financial health of RIG. Everything my teams does effects clients. Clients remember their interactions and so every conversation that my crew have is important in building client confidence in Vanguard and strengthening Vanguard’s reputation. Read the last blog in this series on Retail Services and stay tuned for the next edition of our Client Services career conversations, featuring a new department each time. If you’re seeking an environment where you can make a difference and develop professionally, check out our Client Services career opportunities at www.vanguardjobs.com. 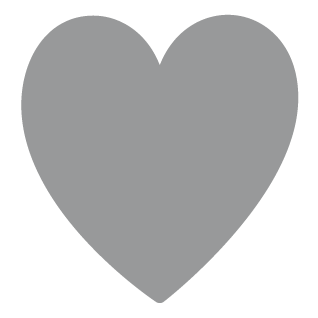 This Valentine’s Day, we wanted to recognize a special kind of love – love of your career! Below we share just a few of the reasons Vanguard is a caring place to work. At Vanguard, many crew members start their first day in a group and spend time together to get licensed and trained. In this video, you’ll hear from Amanda S., a crew member that shares why her husband eventually came to Vanguard too. Vanguard provides resources to help crew with the transition into married life. 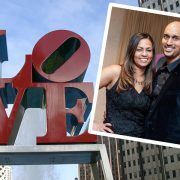 We asked crew members Donald F., a Communication Project Leader, and his wife Arecka, an IT Project Manager: What’s it really like working at the same company as your spouse? 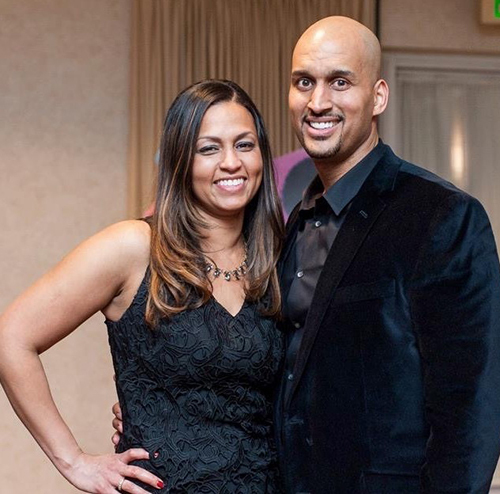 “It’s a blessing for us because we both get to take advantage of the benefits of working for a company like Vanguard. 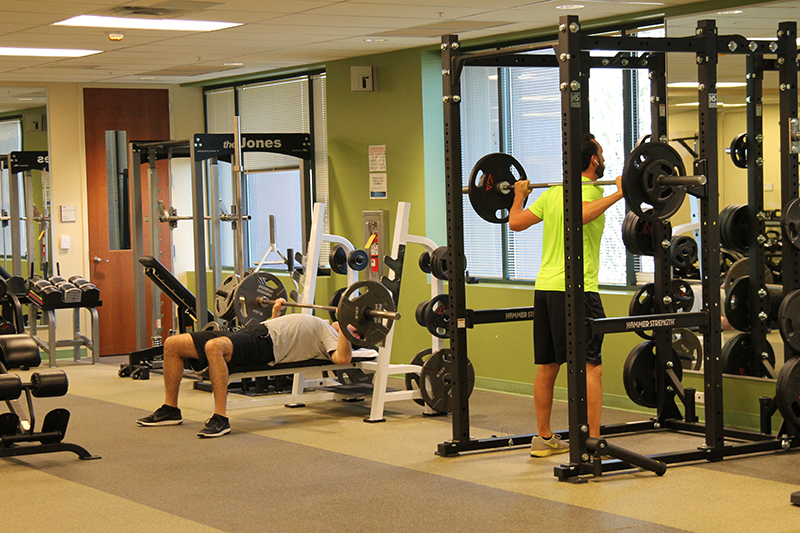 From health coverage to our gym memberships to generous paid time off, we both feel very lucky to be working here. The power of (career) love – When you feel good about what you do, you want to share it with those you love. That’s why employee referrals remain the number source for finding top talent at Vanguard!